The St. Charles Parish Rotary club put together and delivered 55 food baskets at it’s Nov. 19 meeting in Boutte. The baskets were filled with goods ranging from canned corn to full frozen turkeys. 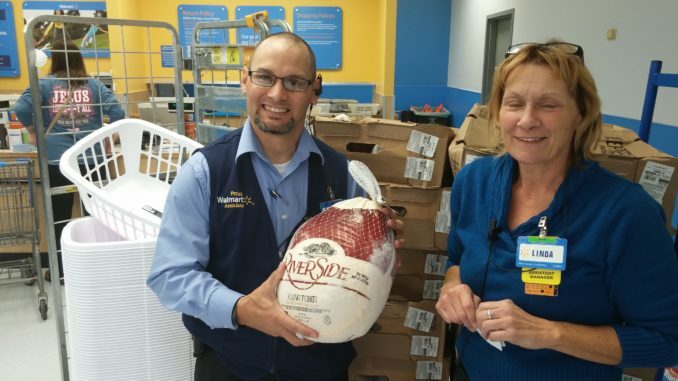 Fifty-five turkeys were donated by the Walmart in Boutte to the cause, as well as goods from a wide range of generous donors. Volunteers packed the goods into laundry baskets and, after taking a lunch break, delivered them to needy families throughout the community. Founded in 1978, the St. Charles Parish Rotary Club brings its members together every year to assemble and distribute the Thanksgiving food baskets.